C&S Products Company is the pioneer and undisputed leader in the Wild Bird Suet Market. Since our founding in 1986, C&S Suet, Squirrel and Wild Bird Feeding products and accessories have achieved unprecedented levels of customer satisfaction and loyalty. Our company’s commitment to quality, unique and innovative feed and feeding accessories leads the industry in wildlife acceptance. Browse our website and let us know how we can help. If you are new to the wonderful world of wildlife feeding, learn about Wild Bird and Squirrel Feeding and the satisfaction it brings millions of people around the world. For more information about the C&S line of innovative and specialty wild bird and squirrel feeding products, visit our Products page. 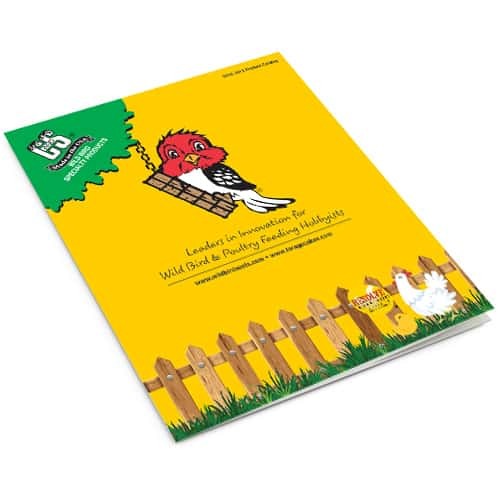 Make C&S Wild Bird Feeding Products a Part of your Department Today! Click here for our catalog full of great pallet, plan-o-gram and Wild Bird merchandising ideas!